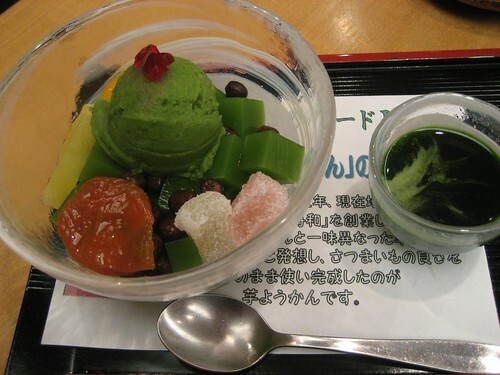 I went to Asakusa with my friend and we stopped by Funawa for sweets. We had Anmitsu and kusamochi. Anmitsu is made of small cubes of agar jelly, a white translucent jelly made from red algae or seaweed which served in a bowl with sweet azuki bean paste or anko. 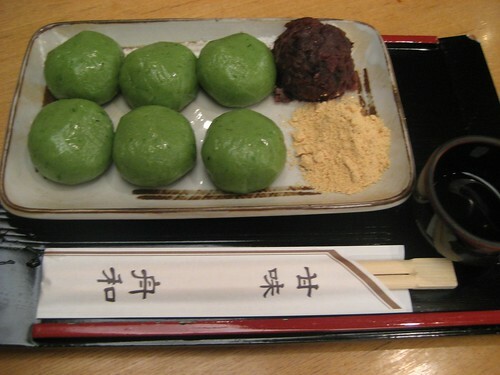 kusamochi is a rice cake mixed with yomogi. If you have a sweet tooth, you will love them!! I really miss takoyaki and I mean GOOD takoyaki. Not the stuff that they make here in San Francisco.